With everyone’s favorite beeping garbage can at your side, you’d never forget an appointment; never go without the valuable items you can stuff inside of him, like lightsabers, rebel plans, or martini shakers; and you’d never have any prolonged issues with iPhones, computers, televisions, or gaming devices. He’s got a humor streak in him (insofar as beeping with smartass tones can be humorous) and he’s as loyal as a dog. He is the perfect sidekick. 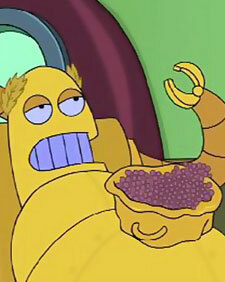 He’s made out of gold, fashioned after classic Roman hedonism, takes baths in chocolate, and is devoted to decadence in all possible forms. In other words, with his help, I could throw the most incredible parties since approximately 1400 years ago. Job: Come on. Do I really need to explain this? 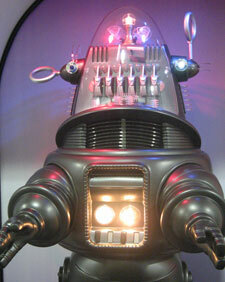 More than any of these other robots- perhaps more than any other fictional robot- Robby took care of business. Dr. Morbius made sure of that when he created Robby. Moreover, he had just enough comic deadpan to not look like a jerk when asking for help. I do the best I can to edit the things I write. However, I am not perfect. There’s no escaping the fact that I could use Linguo’s help as long as I kept him away from mafia movies, which would apparently make him explode. Have you ever gone to a party and found yourself stuck in a boring and/or lame conversation? With the Cybernetic Ghost of Christmas Past from the Future at your side, you could insert him into these awful conversations, thereby freeing you to go about enjoying the rest of the party. Preferably, it’ll be a party planned by Hedonism Bot. He’s way too kind to seriously discipline a kid but his history as a military robot gives just enough of a threat. The kid will get Johnny Five’s hippie love while learning to stay in line because his/her military robot nanny could obliterate him/her. He was 8 feet tall and shot lasers out of his face. Try going into the paint on Gort and you’re going to get rejected. 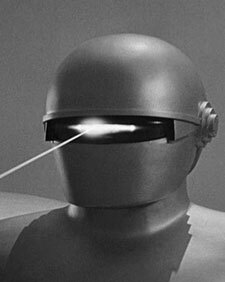 The only potential quandary is if opposing teams employ the hack-a-Gort defense because I doubt he can hit free throws. She narrowly edges out Rosie from The Jetsons. She earns the edge because she’s more likely to become involved in highjinx, whereas Rosie was just kind of part of the background. Cool article. That would be some robot army you would have! I just would like to have that bear robot in A.I….he could come along anywhere I go. Oooh, two votes for the bear. Vickie over Rosie? Not in my house. Even as a kid, I couldn’t stand that monotone dialogue. Rosie, on the other hand, at least had some personality. But I can understand you probably wouldn’t want her calling you ‘John Boy.’ The Cybernetic Ghost of Christmas Past from the Future would be cool, too, if only he wasn’t trying to hump things. 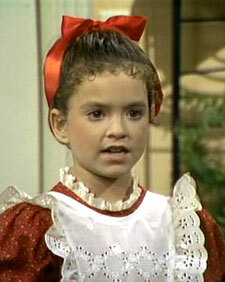 I’m kind of embarrassed to admit that I watched a few episodes of Small Wonder as a kid (on WMSN Fox 47!). And for whatever reason- I seriously have no idea why- I didn’t see a lot of the Jetsons. Yea I know Transformers aren’t cool anymore thanks to Michael Bay but I would love to have Optimus Prime on my side. Imagine driving down the highway and some idiot cuts you off, now you can go ballistic and take the notion of road rage to a whole ‘nother level! I like the way you’re thinking. The Transformers from my childhood? I’d hire a lot of those guys. Wasn’t Soundwave an extra in Do the Right Thing? 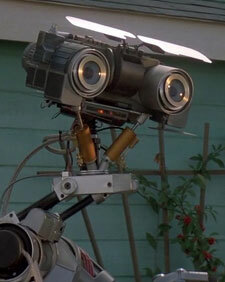 Nice call on Johnny 5 but I’d rather have Andrew from Bicentennial Man in my house. 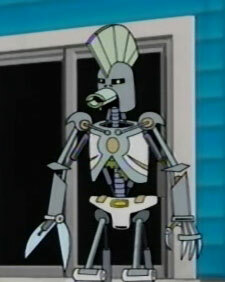 But my sidekick (childlike as this choice may be) would have to be ‘Teddy’ from A.I. 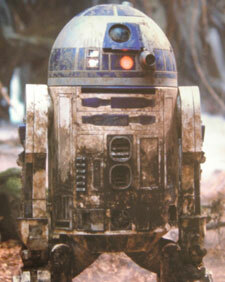 I would totally have Johnny Five babysit my kid, while R2-D2 makes me laugh and mixes my drinks. Knowing your kid personally, I think that the Bug /Johnny Five combo would be a great match. With all these party ready robots you might need to employ a Wall-E to help clean up all the messes… I’d definitely lay claim to a Bishop. Ripped in two and still saves the girl from being sucked out into space? That’s exactly the kind of robot to have around in case any aliens try to sneak aboard the transport vessel during the shipment of these robots. Ah, like Red Dwarf, Dr. Who is another I need to check out. 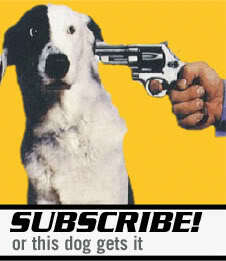 I don’t even know where I’d start to watch that show. I’m sorry. This list doesn’t contain Kryten from Red Dwarf and is therefore invalid. Ha… I apparently need to check out Red Dwarf. Haha, great list. 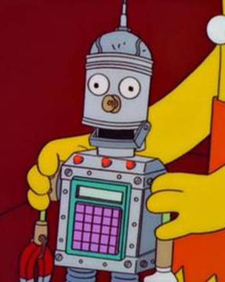 It’s a shame none of these robots were voiced by James Earl Jones. If they were, I’d want them all. Or Yul Brenner, for that matter. I messed up and left out “Westworld”. I love that late 60’s style. What about Mr. Universe’s “wife” in Serenity? The Fembots are hot, sure, but they have machine guns in their jumblies. That’s bound to cause a problem, although I confess that I appreciate women of their… caliber.